On this tour will you to visit the Fanad and Inishowen Peninsula. Fanad is home to one of the world’s most beautiful lighthouses. Here you will get to take a tour to the top into the candle room. On the Inishowen Peninsula you will visit the ancient hill fort of the Gaelic Kingdom, Grianan of Aileach. The hillfort of a Gaelic Kingdom, Grianan of Aileach, on the Inishowen Peninsula dates from 1700 B.C. and is thought to be linked to pre-Celtic Invaders. Our tour will take you to this ancient structure where it is believed that St. Patrick baptised Eoghan in 450 A.D. That was indeed all a long time ago, but the monument still stands as a national treasure of the Irish Nation. The final destination is the Great Pollet Sea Arch (or Pollack if you prefer). 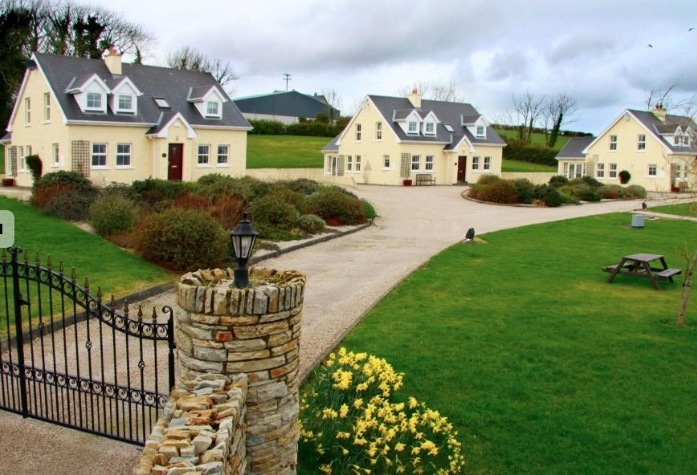 A hidden gem in the hilly coastal side roads of the Fanad Peninsula. This is an optional stop as it does require a walk across wet fields and hoping a fence or two. For those who are less inclined or unable to manage the irregular paths you can be dropped off back at the cottages. FUN FACTS: The tower of this stunning beacon is 22 metres high from the foundation to the top of the tower, not including the lantern. The light is 39 metres above sea level and there are 79 steps to the top. The lighthouse guide will take you to the apex and into the candle room with the exquisite views of the North Atlantic and the Inishowen Peninsula. The original building was commissioned following the wreck of the HMS Saldanha on December 4, 1811 where by 253 sailors were lost, and some 200 bodies washed up on the shore at Ballymastocker Bay on the west side of the Lough. It was one of Ireland’s worst ever marine disasters. Building commenced in 1815 and was completed in 2 years by the Commissioners of the Ballast Board. On Sunday 4 December, 2011 a special ceremony was held to mark the 200th anniversary of sinking in Lough Swilly of the HMS Saldanha. It was the first ever commemoration of this tragic event. Until then there had been no permanent memorial to their deaths. Transportation in a luxury mini-coach with a professional driver and guide.